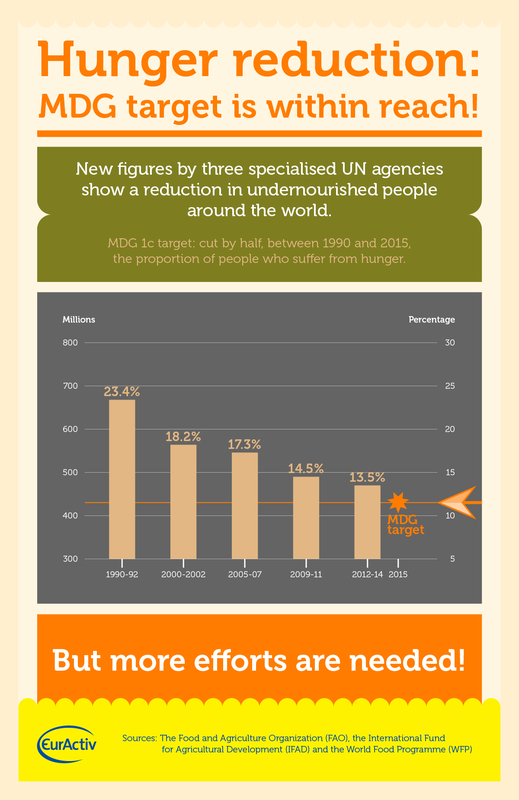 INFOGRAPHIC: The overall trend in hunger reduction in developing countries means that the Millennium Development Goal (MDG) of halving the proportion of undernourished persons by 2015 is possible, according to a new UN report released on 18 September. The State of Food Insecurity in the World (SOFI 2014) confirmed a positive trend which has seen the number of hungry decline globally by more than 100 million over the last decade, and by more than 200 million since 1990-92. The report is published annually by the Food and Agriculture Organization (FAO), the International Fund for Agricultural Development (IFAD) and the World Food Programme (WFP). Find here the report The State of Food Insecurity in the World 2014.